Biosensis specializes in antibodies and reagents for neuroscience, with particular emphasis on neurotrophins and neurotrophin receptors. In addition, their neuroscience portfolio includes products for research in neurodegenerative diseases, neurodevelopment, and neuro-metabolism. Areas of focus include Alzheimer's, Parkinson's and ALS diseases, as well as autophagy, and metabolic and stress disorders. Biosensis' antibodies and reagents have been used in many techniques including western blot, immunohistochemistry, FACS analysis, real time imaging with confocal microscopy, biological inhibition and cell culture and cloning. 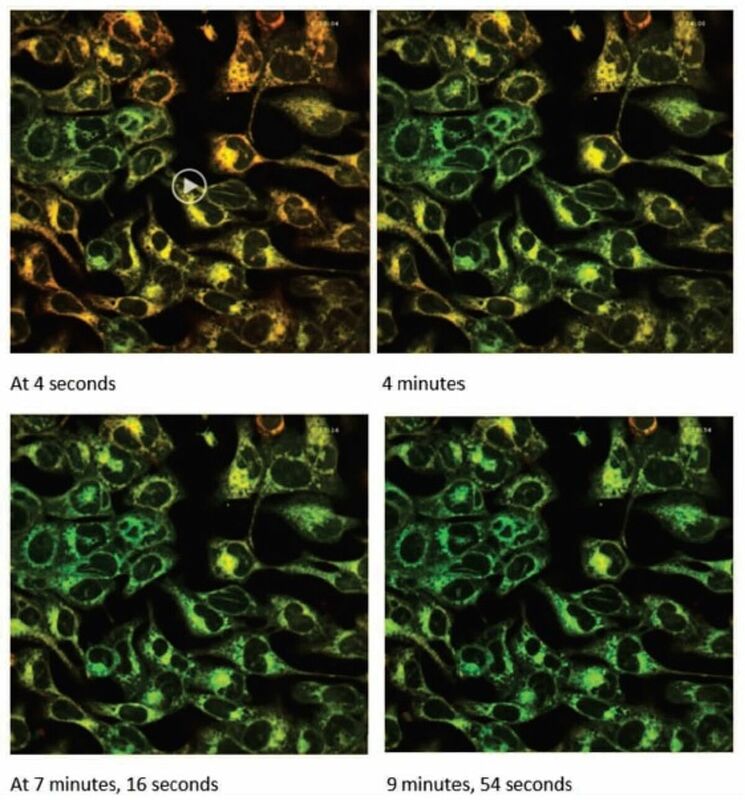 Biosensis’ new fluorescence imaging reagents are compatible with other fluorescent dyes, can be used on live & fixed samples, and demonstrate excellent photo stability, low cytotoxicity, a large Stokes Shift and rapid cellular uptake. Why should you get this tracing reagent for the endoplasmic reticulum and not a competitors product? Well, this reagent can be used on live and fixed cells, is very photostable and can be washed away. Also, it can be stored and shipped at room temperature! Co-staining of prostate epithelium with Biosensis ER Tracing Reagent (pseudocolor: green) and competitor's ER-Tracker (red). Time lapse over 10 min demonstrates superior photostability of TR-601-ER1 over other commercially available dyes.